After McDonald’s accused Wimpy South Africa of plagiarism, Wimpy fired its advertising agency The Odd Number. Three people who previously worked on the McDonald’s advertising account, joined The Odd Number earlier this year. They are accused of reproducing a McDonald’s advert for Wimpy. The advert, The National Breakfast, aired across South Africa in July. McDonald’s withdrew its version of the advert before it aired. Wimpy South Africa is “terminating its relationship” with advertising agency The Odd Number over allegations of plagiarism, advertising publication Marklives reported on Friday. This after McDonald’s South Africa accused Wimpy and The Odd Number of using confidential information employees gained from previously working on a McDonald’s advertising campaign. “This is the subject of a dispute. The allegations are unfortunate. We are engaged in ongoing discussions with Wimpy and McDonald’s to resolve the matter,” Xola Nouse, co-founder of The Odd Number, told Marklives in a statement. Business Insider South Africa understands that the advertisement in question, the National Breakfast, aired across South Africa in July. Three employees previously worked on a McDonald’s ad campaign at OwenKessel Leo Burnett (OKLB), which is McDonald’s lead advertising agency, Business Insider SA has learned. They reportedly moved over to The Odd Number earlier this year, and apparently proceeded to present a similar campaign to Wimpy. After seeing the Wimpy ad, McDonald’s didn’t release their version. 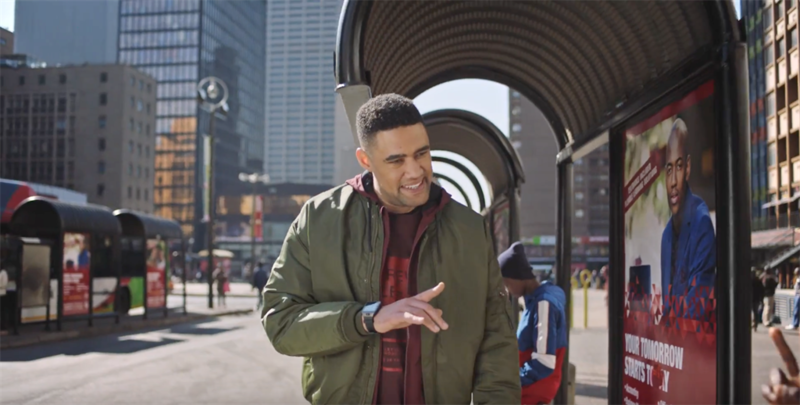 Wimpy’s The National Breakfast advertisement, only 30 seconds long, features scenes of Johannesburg’s CBD where a man engages with South Africans on the street. “Where I am from, anyone older than you is ‘gogo,’ and anyone younger is ‘sisi’,” the man says as he high-fives a child dressed in school clothes. “It’s all a little confusing, but to us it just makes sense, because here everyone’s family,” the man says, as Wimpy’s “unofficial official national breakfast” logo is displayed on screen. Business Insider South Africa is still waiting for comment from Wimpy, The Odd Number, McDonald’s and OKLB.